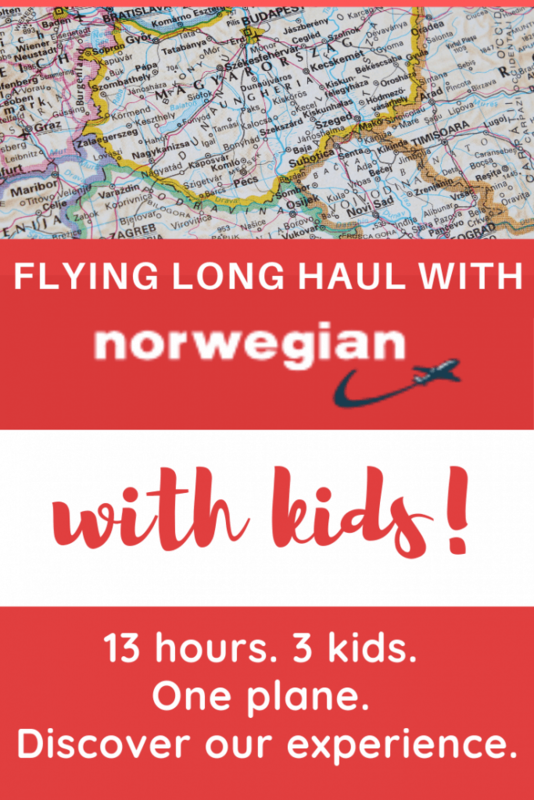 Norwegian Air Dreamliner Review: Surviving a 13 hour flight with 3 kids. Norwegian Air Dreamliner Review: We Don’t Mince Words! 4 Norwegian Air Dreamliner review: Would We Recommend The Dreamliner 787? We paid £175 per person for a LowFare ticket with Norwegian Air UK; with SkyScanner you can often get tickets from London to Singapore with Norwegian airlines for under £200. Flying with the low cost Norwegian airline meant more money for tours when we got to Asia! Norwegian airlines have their own app that saves all your bookings and lets you do Norwegian airlines online check in before you get to the airport. We didn’t bother and half expected a queue at the airport, but there wasn’t even a line and we checked in and dropped our baggage in no time. Perfecto. Apart from LowFare tickets, seating reservation is included in all Norwegian airline tickets. We got seated together despite not paying extra with LowFare tickets but if you want to be sure your party is sat together, pay the extra. If you pay to select your seating before you arrive at the airport (up to 6 hours before your flight) for all flights except International long-haul it costs between 9 and 19 Euro per leg of the flight, per person, depending on which flight you are on. For International long haul it costs 35 Euro per leg of the flight, per person. If you wait until the airport to reserve seats it costs 30 Euro per person, per leg of the flight for short haul. Extra costs are incurred for the first five rows and seats with extra legroom. Hand luggage: Each passenger can take a piece of hand luggage sized 55 x 40 x 23cm and a personal item such as a laptop with a combined weight of 10kg for LowFare, LowFare+ and Norwegian Air Premium tickets or 15kg for Flex and Premium Flex tickets. The exception is flights to Dubai where the combined weight must be no more than 8kg in total for all ticket types due to weight restrictions on the plane. Babies under 2 who do not have their own ticket don’t get a luggage allowance but you can bring a reasonable amount of baby food and formula for the flight. Checked baggage: On all flights the free checked baggage allowance is 20kg per person for LowFare+ passengers and 2 x 20kg per person for Flex, Norwegian Air Premium and PremiumFlex passengers. Those flying LowFare do not have a checked baggage allowance. Children under 2 years for whom you haven’t booked a separate seat, get 5kg allowance that can be packed in your bag, with suitcases weighing not more than 32kg in total. Excess baggage costs £9 per kilo per leg of the flight, but you can save up to 50% by pre-booking excess baggage online up to 6 hours before departure. Car seats and strollers: Each child from birth up to 11 years can bring one car seat and one stroller, to be put in with the checked baggage. Check out our guide on the best travel strollers for 2019 – they can really make or break a trip with kids! All of the Norwegian airlines staff we met were efficient, helpful and friendly. The check in lady chatted to Eira about her birthday and the air stewards fetched us several glasses of tap water without batting an eyelid. This is a Norwegian air long haul review as we were in the skies for 13 hours, flying on the Dreamliner 787. It’s a big hefty thing, with three rows of three seats across. The leg room was immense, around double what we have come to expect with EasyJet and similar airlines. We found the seats perfectly comfortable and the kids slept well in them; obviously this is subjective but we were very happy, the seats are much better quality than any other low cost airline we have flown with. Free Wifi is available on board most flights in Europe and on all flights between the US and the Caribbean. There are bassinets available on Norwegian Air flights to and from the US, Thailand, Argentina and Singapore. If you need one for your baby call the Contact centre on 0330 828 0854 at least 48 hours before your flight. Unfortunately on our journey the kids’ movies and tv shows hadn’t been programmed properly so there were no kids’ tv options- not great on a 13 hour flight. In fact it’s pretty darn shoddy- that could have been a make or break for some people. We were lucky that we had taken iPads and our favourite mess-free travel toys but for people who had relied on having in flight entertainment, that could have been a real journey killer. This Norwegian air long haul review would have been better had that worked, but perhaps it was teething problems from a fairly new airline. The 787 Dreamliner had a nice atmospheric feature with the windows- instead of shutters to block out the sun, they have a varifocal effect and the glass goes dark at night. Top Tip: Grab A Super-Supportive Neck Travel Pillow For Long Flights! Food isn’t included in standard ticket prices but that is to be expected, it’s a low cost Norwegian airline and not many of the budget airways offer free food any more. You have the option of pre booking hot meals or buying snacks on board. For £25 you get two hot meals and a sandwich, which seemed pretty reasonable, but we’re tight so we didn’t get it on the outbound flight (it would have worked out at £150 for all six of us!). 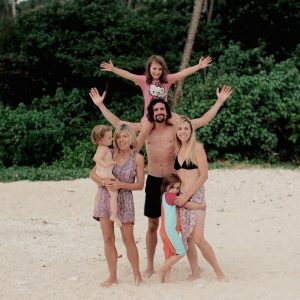 However, Mum recently flew from Singapore to London with Norwegian Air at the end of our time in Bali, and pre-ordered the vegetarian hot meal service. She said Norwegian Air has the worst airline food she has ever had! Her vegetarian meal was bland vegetables and rice- no attempt at any tofu or tempeh or other protein, and a tasteless blancmange jelly for dessert. Disappointing! Everything ran on time, there were no queues for check in or boarding, and our baggage was on the conveyor belt as soon as we got there. 10/10 for efficiency! Norwegian Air Dreamliner review: Would We Recommend The Dreamliner 787? The summary of our Norwegian Air long haul review is that we would certainly fly with them again. If you’re planning on taking a trip soon we would definitely recommend checking out the low cost Norwegian airline with SkyScanner for the best prices. We are not working with the airline, we just really liked the service and will certainly be looking out for flights with them in the future. For our top 10 toddler travel toys for airplanes, road trips and hotels, click here (and for travel strollers for 2019 check this out!) We also love these free travel journal printables for children from our friends at Trip Chiefs. Browse the best Disney children’s luggage or Samsonite Star Wars luggage. If you are travelling to Bali you can find a great selection of our tips and guides here. If you are travelling to Thailand, check out our Thailand travel section. All of our Sri Lanka posts are here for island-bound travellers. If you are heading to Asia with Norwegian Air check out our packing guide for Thailand and other Asian countries including eco-friendly travel items such as reusable straws. Ikos Olivia review: How ethical is Ikos Olivia? You Mentioned the legroom were massive. How about the comfort with having to seat on the seat for the 4-5 hours at a time interval. Are the seats comfortable? Hi Irene, I have updated the post to include the details you asked for- we found the seats to be very good quality especially compared to other budget airlines which usually have horrible fabric on. The kids travelled well in them and all slept. This is obviously down to personal preference but we thought they were great! I hope that helps. Did you have to pay extra to have the kids all sit with the grownups? do parents get pre-boarding with kids under 5? what were the baggage hidden fees? i want to travel with a 5 year old to europe, but can’t risk us not being sat together because i didn’t pay premium prices to sit with said child. Could you actually provide information that is helpful to parents worried about flying a budget airline and their hidden costs? i understand selling things on your blog gets you $$$, but more details would truly be helpful. (sorry if i sound so blunt, most people find me ABRASIVE, i just am not the type of person to sugarcoat anything). Hi Mele. I have updated the post with the information you’ve asked for, despite your rudeness! Good review, I am umming and arring about flying norwegian on the ldn > sin flight but this has edged me towards getting a ticket with norair. I’m 6ft 4 and have previously flown with many airlines, ryanair being smallest amount of legroom and malaysia airlines being the largest. have you ever flown with malaysia airlines? how did these seats compare if so? Looks like a great airline. Thanks for the review! If I make a business class reservation to London do I have to pay more for seating, food and drink? You will get seating selection included as well as a three course meal, paid snack bar is also available. Great review, thanks for your time in writing this. may I ask if you were offered to upgrade your seats to premium economy via norwegian air prior to your flight. i’ve read this on another review but wondered if it was only offered to individuals rather than families? sorry for the caps, can’t seem to turn them off. Hello 🙂 we were not personally offered from memory (although it is something I would easily blank out as it wouldn’t be an option for us) but I think there were signs letting people know that the premium cabin was available. I hope that helps. As long as you can pay I think they would happily sell premium seats to anyone!